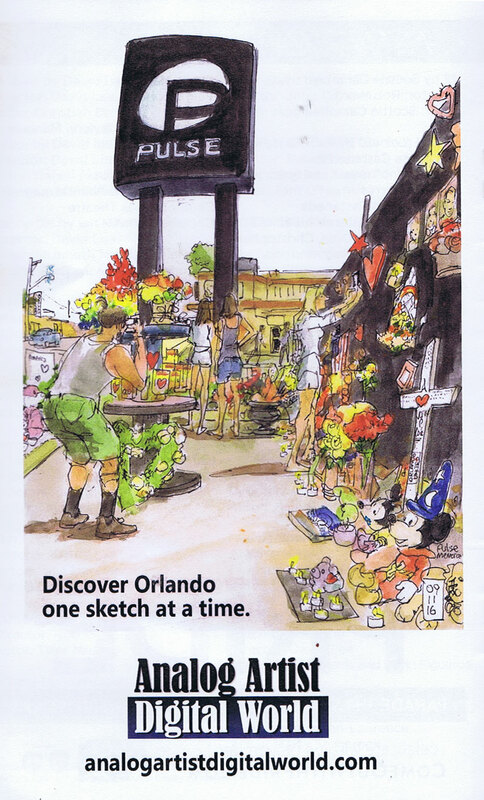 Analog Artist Digital World: The First of 10 Orlando Urban Sketching Workshops. 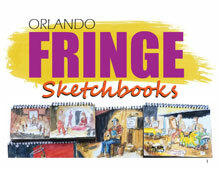 The First of 10 Orlando Urban Sketching Workshops. 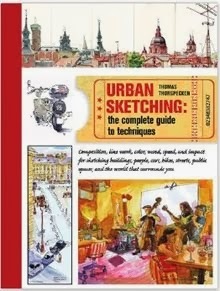 The first of 10 X 10 Orlando Urban Sketching Workshops was held at the Orlando Public Library (101 E Central Blvd, Orlando, FL 32801) in the Magnolia Room. The brutalist style architecture of the building makes it feel like it belongs in a futuristic non-Utopian society as in George Orwell's 1984. Classical music is pumped into the lobby and when the automatic doors open, you can feel a rush of inviting cold air hit you as you walk by. For the first workshop I started with simple shapes like squares, circles, and triangles. We sketched the simple shapes and then sketched them as dimensional objects on the page. The most important building block to understand for me is the cube and we sketched it from all different angles as if it were dice on a roulette table. We then softened the edges of the cube and stretched, bent and twisted the shapes on the page. Being able to sketch that form from any angle is critical. We then focused on contour drawing by doing blind contours before more controlled contour drawing of Abe Lincoln statues and buffalo statues. 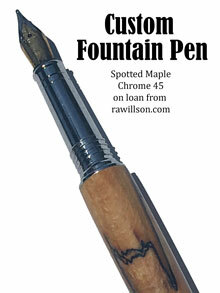 We then focused on producing a more finished still life of our art supplies. We used watercolor for the first time and I offered sketch suggestions to each student as their work was in progress. The library sketch with all the computers shown above was broken down into simple shapes. We left the classroom and found small intimate things to sketch throughout the library. 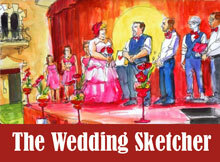 The goal of each sketch was that the object chosen should have a story. As part of the workshop each student is encouraged to write about their experience and post those articles on the Urban Sketch Workshop Group page on Facebook. I am excited about the line up of venues that is coming up. We will be sketching exhibits and historic building models at the Orange County Regional History Center, the Ticonderoga Museum which is devoted to the humble pencil, a Celebrity Impersonators Convention, Zombietoberfest, the Creative City Project and Skeletons at The Museum of Osteology. 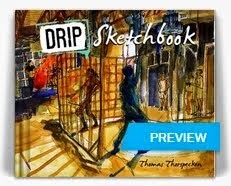 By the end of the 10 workshops, I hope to have helped inspire some new Urban Sketch Correspondents.